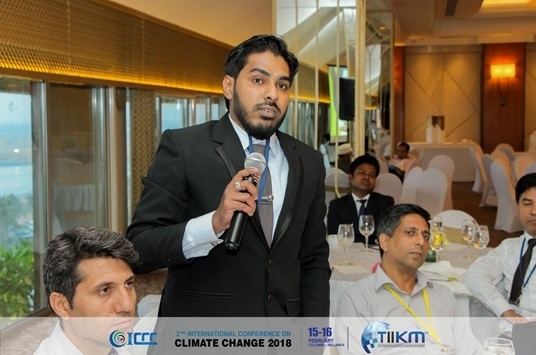 Mr. Charitha Rangana Dissanayaka (Alumni from Sri Lanka, 03rd Intake) presented his research findings at The International Conference on Climate Change 2018 (ICCC 2018) held from 15th-16th February, 2018 at Hotel Taj Samudra Colombo, Sri Lanka. 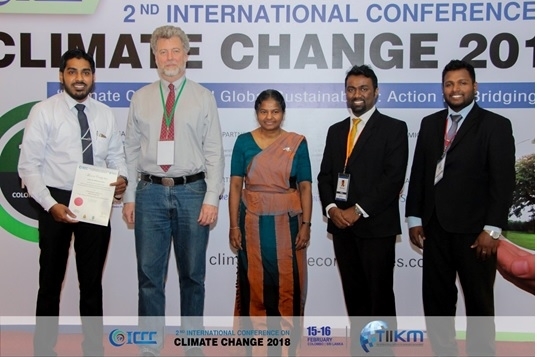 ICCC 2018 was hosted by the University of Colombo in collaboration with the Colorado State University, USA as the Academic partner of the Conference and the Climate Change Secretariat, the Ministry of Mahaweli Development and Environment, Sri Lanka was the supporting ministry. The Conference witnessed the participation of more than 100 participants representing more than 20 countries across the world including Sri Lanka, Germany, United States, United Kingdom, Bangladesh, Pakistan, Taiwan, Thailand, India, Republic of Korea, Singapore, Indonesia, Nepal, Myanmar, Iran, Australia, Japan, Turkey, France, Mexico and United Arab Emirates, etc. 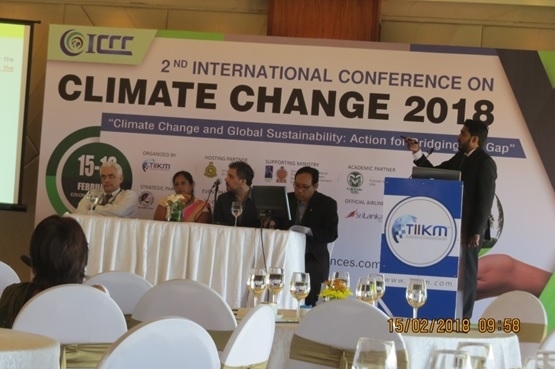 The panel consisted of leading climate excerpts and academics from the Colorado State University and University of Colombo appreciated the conducting of a timely research and encouraged Charitha to further continue the research study. Charitha has also been offered to attend the Science and Training Workshop on Climate Change in the High Mountains of Asia to be held in India in from 8th – 12th of October, 2018. This will be organized by IITM (Indian Institute of Tropical Meteorology, Pune/Ministry of Earth Science, India), CCCR (Centre for Climate Change Research), MAIRS-FE (Monsoon Asia Integrated Research for Sustainability - Future Earth), IISc (Indian Institute of Science, Bengaluru) and his visit will be funded by IITM and DCCC (Divecha Centre for Climate Change).